Ripple was founded in 2012 by Chris Larsen and Jed McCaleb to connect banks, payment providers, and other digital asset corporates through RippleNet, a real-time gross settlement system, currency exchange, and remittance network. Ripple works to ensure easy, traceable, fast, and low-cost transfers of assets globally via RippleNet. Supported by blockchain technology, ripple (XRP) is used as payment for transfers made on the network. Transfers of other cryptocurrency or fiat currency can be made via RippleNet as well. Ripple does not use a proof-of-work system or a proof-of-stake system. Instead, transactions rely on a consensus protocol. This protocol is used to validate account balances and other transactions that occur. The company, Ripple, was founded in 2012 by Chris Larsen and Jed McCaleb to connect banks, payment providers, and other digital asset corporates through RippleNet, a real-time gross settlement system, currency exchange, and remittance network. Ripple works to ensure easy, traceable, fast, and low-cost transfers of assets globally via RippleNet. Supported by blockchain technology, XRP (Ticker symbol: XRP) is used as a digital asset for payments or transfers made on the network. Transfers of other cryptocurrency or fiat currency can be made via RippleNet as well. 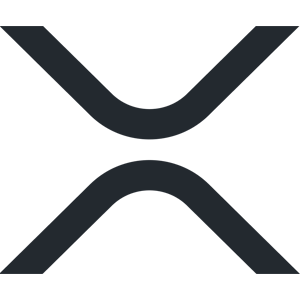 The “X” in “XRP” indicates that this digital asset is not issued by a specific country. The “RP” is short for “ripples” (or “zerps”) as was referred to it during the early days. XRP does not use a Proof of Work (PoW) or a Proof of Stake (PoS) system. Instead, transactions rely on a blockchain protocol called “Consensus”. This protocol is used to validate account balances and other transactions that occur. It offers considerable benefits above a PoW system. For example, in comparison to Bitcoin (BTC) that uses a PoW system, XRP offers greater security (not vulnerable to 51% attacks), greater scalability (1500 TPS vs 6 TPS in terms of on-chain transactions), greater settlement speed (4 seconds vs 3600 seconds), lower fees (0.04 cents vs 40 cents) and uses less energy (0.01 TWh per year vs 68.81 TWh per year) or is more friendly to the environment. Consensus also leads to more and more decentralization. PoW on the other hand leads to more and more centralization as mining power gets concentrated within the hands of a few large players. The use case for XRP stretches beyond cross-border payment and on-demand liquidity solutions offered to banks and exchanges. XRP is also ideal to use in everyday commerce that requires low fees and quick settlement times. Furthermore, XRP and the RippleNet are being used in the development of blockchain-based games. Ripple owns 60% of the total supply of 100 billion XRP. Technically more XRP can be created by Ripple by changing the protocol. However, this figure is already set on protocol level and exists as such on the ledger. As the number of independent validators grow, it will become impossible for Ripple to change this figure.